The dark, almost industrial sleeve of the new LP from The Lucid Dream doesn't give any clues to the joyous, colourful music found within. 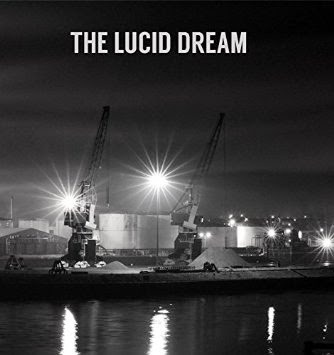 The second album from Cumbria's The Lucid Dream is a delightful collection of psychedelia. The opening track Mona Lisa is worthy of the price of the LP alone. An eight minute instrumental opening with swirling guitars before the pounding, furious rhythm section kicks in. It is instantly loveable. A triumphant start. Cold Killer sees the band locked in the same psychedelic garage groove, with added vocals this time and reminds me of my favourite duo The Vacant Lots. The first side of the record is filled with classics and the young band produce a collection of tunes that defy their age. Side two takes an unexpected turn, beginning with a rather wonderful dub version of Unchained. It is a complete departure from the rest of the album. Running at a minute more than the original, the dub mix is far better. The original Unchained then follows but it feels as though the momentum that has built until now is slightly lost. Unchained is the lightest moment on the album before the psych rock of Morning Breeze and You & I bring the album to a close. Morning Breeze is like a homage to Playing With Fire era Spacemen 3 whilst You & I has echos of Spectrum. A really warm and charming end to the record. The Lucid Dream have produced an almost perfect record. It could easily be regarded as a classic in years to come and I've already got it pencilled in at the top end of my 2015 poll. Our review of their recent show at Manchester's Roadhouse can be found here.